No team has achieved back-to-back Grand Slams in the Six Nations era. But a strong Irish team are contenders, having won it in 2018. "It's always a massive game when you play England. Ireland are a little ahead at the moment which kind of spices up this game at the weekend," former Irish international Quinlan shares his thoughts on week 1 of the Guinness 6 Nations. Speaking on Friday's OTBAM, Quinlan called on Rob Kearney to bounce back. Rob Kearney was a notable exclusion following the announcement of the Ireland team to face England tomorrow with Robbie Henshaw getting the nod at fifteen. "There was talk before the November series after Jordan Larmour's performance against Italy that he’d start against the All-Blacks," Quinlan suggested on Friday's OTB AM. 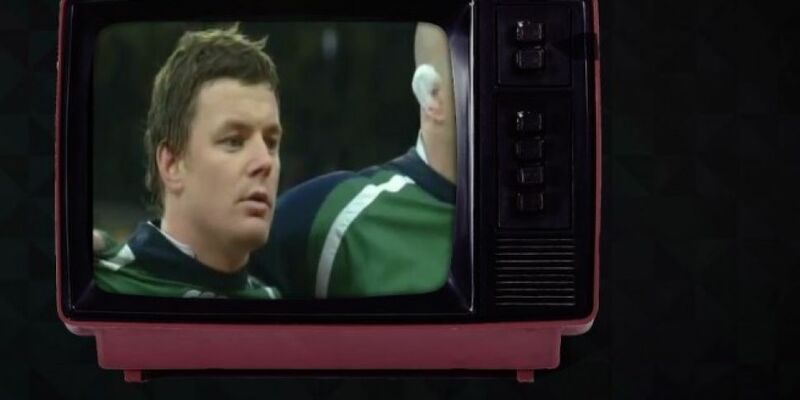 "But they went back to Rob Kearney and he’s never let the side down." The former Ireland and Munster player was confident in Schmidt’s judgement despite the risks involved with dropping Kearney. "It is a risk there’s no doubt about it. He’ll know himself it’s a little bit of a risk," said Quinlan. Kearney has been an anchor in this Ireland team throughout the Schmidt era but, Quinlan is confident in Henshaw’s ability to take the fifteen spot. "I think [Henshaw] will be successful, like I said, just some of that positional stuff, the lay person mightn’t even notice that," Quinlan noted. Quinlan suggested that in camp performances by Henshaw influenced the decision but highlighted the harshness of the call on Kearney given some of his stellar performances in recent test matches. "I think he’ll be very disappointed Rob Kearney, he’s never let the side down," the former Munster man said. "He’s had a few small setbacks before. He’s had a few injuries, but he’s been probably our most decorated players with the success he’s had. "He’s got to dust himself down now Rob Kearney and the week can turn very quickly." There may be a place for Kearney further down the Six Nations journey with Quinlan suggesting that he can see him making a return for the Murrayfield showdown with Scotland. "There might be a reshuffle in the centre for Scotland. It’s tough on him but he’s got to deal with it this week now." Ireland versus England kicks off at 16:45 on Saturday from the Aviva, with live updates across OTB networks.